I had the hiatal hernia surgery last year and my only thing is I can't belch. Every time I eat something I get gas but a stinky gas, something I never had before the surgery. I wonder if anyone else experienced this before. I had a large hiatal hernia for the second time. When pregnant with my son I guess is when it came back, he is 13 months now and I just had the 2nd repair surgery on Monday 1-28-19. Yes, the diet is a bit of a drag, from clear to full liquid to soft, but at least I shed a few pounds and no more heart burn! The worst part was the pain from the air/carbon dioxide they use during surgery that rises into your shoulders. Four days after and I still feel like the terminator tried giving me a massage. Be warned. I had hiatal hernia surgery on January 8, 2019. Today is January 28, 2019. I had no idea how hard it would be for the recovery. The first week I couldn't get up and down without help. Moving around much better now. Still have trouble bending down, can't lift much. Main problem is a sharp stabbing pain in my left side. I have to eat small amounts and still have gas. Hopefully I will be all better in a few weeks. I had a huge hiatal hernia and severe acid reflux. I opted for hiatal hernia repair and had laparoscopic Nissen fundoplication surgery performed March of 2018. Recovery was slow but I no longer have acid reflux. I can honestly say though that I would not have had the surgery if I knew I would suffer like I am. I have lost 32 lb. in 5 months and have severe nausea on almost a daily basis. I get sick after only a few bites sometimes. It is debilitating and scary. I had hiatal hernia repair 11/13/18. The positive outcome is I no longer need Nexium. The negative side is the gastrointestinal infection with all its discomfort and bloating. I would definitely do it again but the recovery has been much slower for me. My thanks to many of you, for your honesty. I feel good about going through with the hiatal hernia surgery now. And I hope to have a great and wonderful testimony as yours. Very encouraging. After researching hiatal hernia surgery, I was expecting a long recovery period with problems eating for 6 months. I am 7 weeks post operation, no reflux, and am eating almost everything I did pre-operation except in smaller amounts and taking longer to eat. My only side effect is more gas, which is relieved with Gas-X. I lost 10 pounds, have walked 2 to 3 miles daily since a few days post-operation, take a probiotic and still take my Zantac because I have gastritis also. For me this surgery was a good decision. I wonder if anyone else gained a great deal of weight over a few months after hernia surgery. My stomach area is huge now, 8 months after surgery. I had hiatal hernia surgery in August 2018. Over 2/3 of my stomach was in my chest cavity. I am feeling so much better since surgery once the initial bloating and general surgery pain was relieved. Prior to surgery I was on Protonix for GERD and also taking Plexus natural supplements to help repair my gut overall from years of medicines and damage they can make. I am still on Protonix with plans to discontinue once fully healed. The Plexus is a lifer for me and total game changer for my overall health. I am 7 days post robotic surgery for a 'giant' hiatal hernia. My whole stomach is tender and sore which I feel is normal, but I have a large dimple in my skin on my right side stomach that is extremely painful. It feels like a knife is stuck in my tummy, a sharp and burning pain. The bruising is worse there so I assume most of the surgery was done from this incision. I hope this is normal. I was diagnosed with a hiatal hernia and had Nissen fundoplication surgery on July 13. It is now August 15 and I can finally swallow without difficulty. I have had extreme gas and diarrhea ever since the surgery and recently developed nausea. I am unable to vomit! I am trying to find out if this is permanent. Otherwise, happy with the surgery. Especially losing weight! I had hiatal hernia with GERD. Surgery was 3 weeks ago. A lot of ice chips, Jell-O, and broth for me through the first 2 or 3 days. Ice packs on my shoulder/chest helped with diaphragm nerve pain. I had to walk and walk around the room, around the house and then outside to work out trapped gas. I had serving size 2/3 cup every 2 hours if Ensure drinks, slightly scrambled eggs, melons, five Alive gummy vitamins. I had to recline and rest often. Bending at the knees, stretches for my arms and practicing deep breathing helped with the chest pain. Feeling good! I am a 60 plus female and am 9 months post Nissen fundoplication surgery for hiatal hernia; second procedure as unfortunately the first one was not successful. Initially, and following relevant eating regime, I had lost 2 stone 7 pounds. I was happy with this loss as I was overweight at the time of surgery. Unfortunately with the Christmas festivities and other excuses to eat I have put some of this back on. At the same time I started to experience dizzy spells, fatigue, extreme bloating with gas and diarrhea. I now find it difficult to lose the weight. I am desperate to find the correct diet to accommodate other health issues as well as the above. I have had a blood tests and the one that stood out was being deficient in vitamin D; now on supplements for this. If anyone could steer me in the right direction I would be extremely grateful. I am an experienced yo-yo dieter! I had hiatal hernia surgery on March 7, 2018. I am 70 years old. My stomach was in my chest and I was on medicines for acid reflux, asthma, and allergies. Today is May 15. I can eat anything I want. No reflux. Since surgery my doctors have taken me off Aciphex and Advair. Feels good to breathe again and not use so many medications. I was in hospital overnight, and was sore in shoulders for 3 or 4 days. Movement was difficult for the first 2 weeks. The diet restrictions for me lasted only about 3 weeks. The only problem I have experienced is when eating too fast or not chewing well; several times food got stuck. I continue to eat 4 or 5 small meals a day. I have lost about 10 pounds. Feeling good! I had laparoscopic hiatal hernia surgery with mesh, over 3 years ago. After surgery I had terrible pain in my left side near below my neck. I stayed in hospital for 5 days. A week later I had a CAT scan, and found out the doctor had cut my spleen. I have lived in pure agony since surgery. I have lost 60 lb. because I cannot eat. Every time I eat a small portion of anything I throw up and have severe diarrhea. 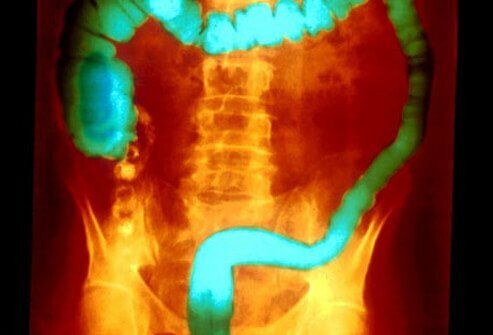 I have been to 6 gastrointestinal doctors, had every test and still to this day don't know what's causing it. Wish I had never had the surgery. I'm 62 now and in good health otherwise. It would be nice to just have a meal without being in the bathroom and in the bed for 45 minutes before I get to feeling better. I had laparoscopic hiatal hernia repair with Nissen fundoplication patch because my stomach was in my chest. This was in July 2013. I could not eat any solid food for 9 months. I had horrible pain for 3 long months. I lived on protein drinks and felt horrible. Then I got better. However, now it has been 4 1/2 years and I am getting sick if I eat normal adult portions of food. I cannot eat bread or a lot of meat. If I eat too much I have horrible pains in my shoulders, neck, and ribs along with violent headaches. If I am lucky, I can vomit a bit. The only thing to stop this is Emetrol to settle the stomach. I usually have to take 2 or 3 doses. I never know when an attack will occur and wish there was something else the doctor could have done other than this patch. This 6 inch patch is stitched to my esophagus and cannot be removed. How could this have been approved by the FDA! Mine is the same story as many people here but with some additional serious side effects. I had GERD for years, which was only getting worse and worse. No sleep. Throwing up all the time, especially being woken up at night to vomit. I could eat or drink hardly anything. So I found I had a hiatal hernia. I had the surgery and at first was so glad I did. Then came the massive amounts of gas all the time and I still have uncontrollable belching way beyond any burping I've ever had. The diarrhea has lasted since the surgery a year ago, which comes 2 or 3 days a week. Sometimes I have had to sit in the bathroom for over 2 hours. So not good. Then I started having some weird feelings. I started passing out, feeling dizzy, having extremely messed up vision and headaches. I passed out once in Scotland on a vacation and then recently I passed out while in California while I was driving. Luckily I didn't wreck or kill someone. My family doctor and I had been researching the possibility that I was becoming diabetic, only I wasn't showing the typical signs of diabetes. Finally I've begun to read that if you have any type of stomach surgery you are highly prone to become hypoglycemic or low blood sugar. Since I've started testing my blood glucose regularly I've had consistent low blood sugar usually about 2 or 3 hours after every meal, to the point that I have nearly passed out in several stores. I'm trying more to eat smaller meals 6 to 7 times a day and constantly monitor my glucose. But what an exchange of one extremely bad health problem for another. I think now if I had known this might be the result of the surgery I would have just stuck with GERD. I had a laparoscopic hiatal hernia repair along with a Nissen wrap approximately 13 weeks ago. I was told that over 50 percent of my stomach was in my chest cavity. I haven't had reflux since the surgery which is fantastic. I have had lots of gas and bloating along with episodes of diarrhea. I have been trying to link these issues to whatever I have eaten or drank but can't find any significant similarities. I had open hiatal hernia surgery on 8/14/17. Since the surgery I've felt bloated and gassy. I haven't had a normal bowel movement either. On 8/23/17, I started having horrible cramps, excessive gas, and then explosive diarrhea. I have contacted my doctor and waiting to hear back. This is horrible. I may prefer the Nexium and reflux! After suffering from acid reflux for many years, my proton pump inhibitor medication was no longer working. I had robotic laparoscopic paraesophageal Nissen fundoplication by a general surgeon. I spent 3 nights in the hospital and the 1st week was pretty rough. I had pain in my shoulder and more severe in my lower back. It has been 3 months now and I am fully recovered. I haven't taken any medication since the surgery. My only regret is that I didn't have the surgery years ago. I had hiatal surgery with Nissen wrap in April 2016. I have had chronic diarrhea for 6 months and sometimes it explodes and I have no idea or warning. The gastroenterologist did colonoscopy and ruled everything out, all negative. I hate living this way. He now says I have dumping syndrome; no drinking fluids half hour before or after meal, and no drinking during meal! Seriously! I eat something and boom, I have to run to the bathroom. It is ridiculous. I hate living this way! No relief in my future. My voice was very hoarse due to acid reflux and vomiting at night; however, I did not have heartburn. Medicines, diet, elevated bed, etc., did not help. I got out of breath even when walking on flat ground. I had surgery 2 and a 1/2 years ago to repair my hiatal hernia. Surgeon said a large portion of my stomach was in my chest. Best thing I ever did! Patients need to strictly follow surgeon's instructions afterwards; liquid diet for a week then soft food for 2 weeks, no lifting for a number of weeks, and stop all heavy lifting in the future. Now at 60 plus years, I can exercise again, easily walk 3 plus miles, run up 15 steps, take 0 meds, eat what I want (smaller portions though), and live an active lifestyle. Thanks to the doctor! Since having robotic hiatal hernia surgery, I have a lot of gas, constipation and bloating. I pass a lot of gas, which I very seldom did before and have a lot of pressure in my chest. It seems to be getting worse instead of better. I've had a hiatal hernia (among other injuries) since I was a circus aerialist several years ago. It took nearly seven years to properly diagnose my condition; most doctors aren't familiar with it and kept sending me to cardiac care because of my chest pains. Eventually they figured it out, and I was given surgery (Nissan fundoplication). For about a year, things were fine, and then the sutures inside me disintegrated (according to a later endoscopy) and left me worse off than I'd been before. Dealing with a hiatal hernia has been a full-time job for both my wife and I. I've gotten very good results from a chiropractor who does a stomach massage that puts things back in place now and then. However, medical doctors have been mainly useless in my treatment, other than providing me with proton pump inhibitors that cause as many problems as they solve. Most of the time I feel fairly lousy; at best I feel a little less than that. I was a professional athlete when younger, but now I am unable to perform any but the most simple of exercises (walking is as much as I can handle). My experience with doctors throughout has been that they don't understand hiatal hernias overall, and don't care to deal with patients that they can't easily treat. I had hiatal hernia surgery days ago, expect to be fine in a few more days. One thing is carbonated beverages are forbidden for a while, yet the only thing that helps my bloated feeling is burping, which I wait for until I continue eating. I thought a soda drink would help with that. I also have pain in my left shoulder; curious side effect. One other thing that might help people during recovery is chicken soup with rice, and similar things, which can be 'souped up' in a blender, and provide a good nourishing liquid meal. After many, many years of acid reflux and living with the symptoms, I decided to have an upper gastrointestinal endoscopy. Well, lo and behold I had a hiatal hernia. After successful surgery to repair this unnecessary disease, I feel like a million dollars. The preforming doctor told me to go ahead and throw away all my prescription medicine associated with this nightmare. I have had not one problem since. Only question is why I did not do this 8 years ago! I was born with a hiatal hernia which was left undiagnosed until the age of 25. I was ill from birth, having problems digesting and keeping food down. Vomiting and abdominal pain was my every day way of life, my new general practitioner diagnosed the hernia and surgery was my only option. This was 31 years ago and all was well until I was involved in an accident. I have another hernia and presently trying different medications to treat the symptoms. I had the invasive surgery in 1984, the esophagus was wrapped and inserted into the stomach. Best thing I ever did as I have led an active life ever since. Surgery may be inevitable but I would do it again to get the relief I have been fortunate to benefit from with the first surgery. I also had dumping syndrome after my hiatal hernia surgery. Probiotics helped me. In 2003 I had been suffering for several years with excessive heartburn. I had acid coming out of my nose at night waking me up, it was so painful. The doctor determined the cause was a hiatal hernia and repaired it. I haven't had one second of heartburn in over 14 years! I am forever grateful. I had emergency surgery for a paraesophageal hernia (PEH) March 9th, 2017 after 7 months nightmare. Only 5 percent of hiatal hernias are PEH, the other 95 percent are sliding type. PEH can be life threatening and should be repaired surgically to avoid further progression. In layman's terms it is a strangulation type hernia. Almost half of my stomach wound up in my esophagus and it gets twisted. PEH are often late diagnosis. They do not show up on a CT scan or in most cases, an endoscopy. Most of these doctors see that you have a hiatal hernia and they assume it's a sliding type. I had about 10 attacks of severe abdominal pain and vomiting over 7 months, and weight loss of 45 lb from 190 to 145. Attacks would last 3 to 4 hours and you couldn't eat solid food for a couple of days afterwards. If doctors find one thing they stop looking for something else. They give you one test at a time. The test you need to diagnose PEH is upper gastrointestinal series down to your small bowel. After hiatal hernia surgery, I started to lose my voice and even have had two operations on my trachea as it narrowed it down to 2.7 mm. I am in recovery after the hiatal hernia surgery (was done 2 weeks ago). I have shoulder pain when I am sleeping, even after almost 2 weeks. I tried to eat some solid yesterday; soft foods like fish, pasta with a little sauce, milk with snowflakes, bread, and chocolate, chewed well. When I am eating, there is no pain in stomach, just a sensation of emptiness and fullness. I am suffering with bloating, tiredness and lots of gas in the tummy after my hiatal hernia surgery. I have had a hiatal hernia for years and had the surgery a month ago. My stomach was twisted and was under my chest cavity (90 percent). I have the pain in the middle of my chest like I am having a heart attack and pain in the jaw. I have been to the emergency room and was told I did not have a heart attack and all was well. I am 10 days post hiatal hernia surgery, finally doing well after a tough week. I am experiencing substantial heartburn, I was told I wouldn't. I had robotic laparoscopic paraesophageal Nissen fundoplication six months ago after a stress test, heart catheter and ending up in the emergency room from sudden chest pain. I didn't realize how sick I was for years. My stomach was also twisted. I have not felt this good in many years. I can and do eat anything now and I have no problems. I am 55 years old but I feel like I'm 20 again. I only missed 2 weeks of work, have the surgery! I have had all the symptoms listed in this discussed thus far. I have a para esophageal hiatal hernia. Your quality of life does not have to suffer. You can get relief. Surgery is definitely the way to go. Get yourself a specialist in hiatal hernia repairs, or you'll be getting the surgery more than once. Don't settle for just a general surgeon or even just a gastro specialist. Been there, done that and am a 3 time offender. Ask the doctor what their success rate is and even ask to talk to some of their treated patients. (Hint: Ask them how many times they have been fixed for this problem.) It is a long very serious surgery, but I for one want to live my life as normal as possible and this surgery is the way to go if you are a candidate for it. Two years ago I had a surgery called open Nissen fundoplication on a rolling hernia that reached my esophagus and was pressing against my heart. I couldn't breathe, swallow, was vomiting and my pain was a 10 on the pain scale. I now have another hernia where the original stiches broke, causing new pain and vomiting. I believe I've suffered with this for a very long time. I'm only 33 but since I was 14 I struggled with the heartburn and reflux and the food getting stuck. Also a lot of chest and abdominal pain. I honestly didn't think it was a hernia really didn't think to much about it except that I had bad heartburn an reflux. I recently had Lapband surgery and the dr found a hernia an got rid of it. He said it was pretty big an thought I most likely had it for years. It's only been 2 weeks since surgery but I can tell a huge difference. I'm so happy he found it and took care of it. I read a lot of these posts and I just can't believe so many ppl have to suffer from this and their drs aren't doin surgery. I have had seven surgeries. The first one was diverticulitis. The next five surgeries was hiatal hernias. In the hiatal hernia fourth surgery, they gave me a small patch over the hernia site which was lost somewhere in my body. Nobody has retrieved it. Then my colon broke and they fixed it. Then they put an 8 by 8 mesh across my stomach. Then a plug. I am in terrible pain and nobody wants to help me. I can't lift anything without terrible pain and I can't even push or pull without hurting myself. I'm begging for somebody to help me. I have a claim number but nobody will accept it. If I can see a doctor to take the claim number, they will be paid in full every time I see them. I had been suffering for years with pain under breast bone, right side under ribs, and in between my shoulder blades. Heart was checked, and I was diagnosed with GERD. Being on Dexilant for years helps. But the pain I have had really makes it hard for me to live life. I have seen several doctors, and gastroenterologist suggested it was muscular or skeletal. I saw the doctor about it, was put in therapy, and put on different medicines, but pain does not go away. I can't live like this anymore, I have had colonoscopy and endoscopy which showed I have hiatal hernia and will need to have surgery for it. I have a huge hiatal hernia with my whole stomach upside down in my chest. I am 77 year old woman. It was discovered with a CAT scan while I had pneumonia. They found I had lung cancer (nonsmoker) and this huge hiatal hernia. I had lung surgery on February 13, 2018 and all seems ok, and my 6 month scan will be at the end of August. Then they want to discuss my having the surgery for my hiatal hernia. I have a medium size hiatal hernia. My symptoms are coughing, my heart beating so fast after eating. The pit of my stomach hurts all the time, when I eat also. I regurgitate at night feeling I am going to choke. I am miserable and want to ask my gastrointestinal doctor that I would like the surgery. We are advised to do no heavy lifting after surgery for hiatal hernia. I wish I had a more precise definition of the term 'heavy lifting' that has been provided by a physician. I am going to have surgery for a hiatal hernia next week. I am told it is a moderately big one. It is being done laparoscopically. I am very scared but I can't live like this anymore. I am taking proton inhibitors twice a day. I can't eat, it feels like food is stuck in my throat I also have achalasia (very rare), my lower sphincter is not working. I am a mess. I have lost a lot of weight and I am hoping it's going to be better. I was diagnosed with a hiatal hernia last July after receiving an endoscopy. Before then I was always coughing. I couldn't lean to either side or put pressure on my stomach (like resting my arms or a book on it). I thought it came from moving a clothes dryer as it appeared around the same time. I took extra Prilosec, Pepcid AC, and then my doctor prescribed metoclopramide and famotidine numerous times a day. I don't think they are working that well for me and after reading the experiences I think I'm going to opt for the surgery, while I'm still young. Plus I'm worried the long term side effects. I am 25 and I was born with hiatal hernia. I just had the surgery three weeks ago and I am still in so much pain and the doctor won't help. Please share your experience with hiatal hernia. What symptoms have you experienced with hiatal hernia? What medications have been helpful in controlling symptoms of hiatal hernia? What lifestyle changes have you made that have improved symptoms of hiatal hernia? Please describe your experience with sliding hiatal hernia.